Principal dancer Celine Gittens, the rise in women returning to prison, Victoria and Albert's Wedding, winter solstice poetry and why escape Christmas? You know it’s Christmas when The Nutcracker is being performed in various theatres and concert halls across the country. 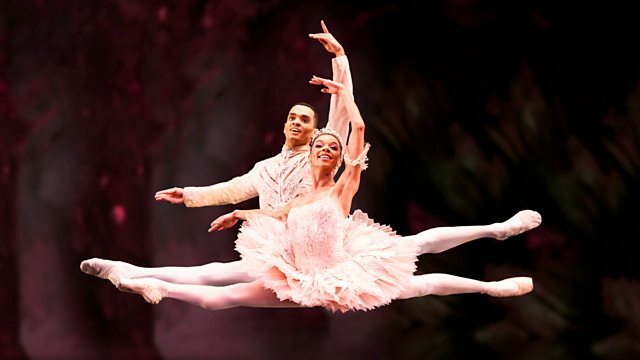 Jenni speaks to principal dancer, Celine Gittens, from the Birmingham Royal Ballet about playing the Sugar Plum Fairy, the rigour of always having to train six days a week and what is it like to be a woman of colour in the world of ballet? Why is there a rise in women being recalled back to prison after release? The Prison Reform Trust has published a new report today exploring why numbers have increased, how recall disproportionately affects women and what can be done to better support them. Jenny Earle from the Prison Reform Trust, HM Chief Inspector of Probation, Dame Glenys Stacey and Emma Kidger from the Advance Minerva Project discuss. At Christmas time, many women feel the pressure that comes with bringing the whole family together. But what if this isn’t your favourite time of the year? What if you want to break away from the norms? Sareta Puri and Georgie Ferrraro are two women planning an unorthodox Christmas this year. They explain why. 2019 will be the bicentenary year of Queen Victoria’s birth. Ahead of that year-long celebration a BBC2 programme has recreated her wedding to Albert in 1840. Was it the romantic event that history has led us to believe or were there political motivations behind it? Historian, Lucy Worsley joins Jenni to explain….and admit how much fun it was to dress up and be a part of the re-enactment. To celebrate the Winter Solstice, poet Caroline Bird joins Jenni to read her poem 48 Veneer Avenue, and shares her thoughts on why Christmas and the Winter months are so ripe for poetic interpretation.